Loving jewelry + collecting jewelry + making jewelry = I have loads of jewelry. Needless to say, I’ve found the everyday jewelry box to be slightly too small for my bounds of baubles. So, over the years I have had to think creatively as to how to organize and store my jewelry. Here are a couple of my favorite DIY ideas for you jewelry hoarders! 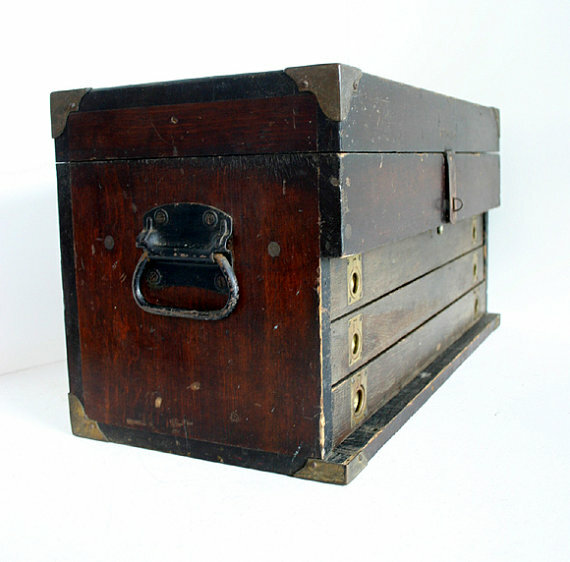 As for myself, I went big: my jewelry box is a 5′ antique Post Office box. 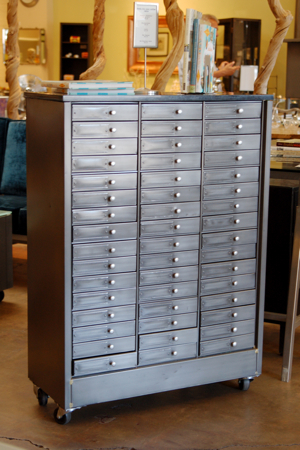 Small drawers for delicate chains and bracelets, medium drawers for larger necklaces and file drawers with hanging file hardware to suspend earrings. This piece from REHAB Vintage Interiors is very similar, though Craigslist and local flea markets are also awesome sources. 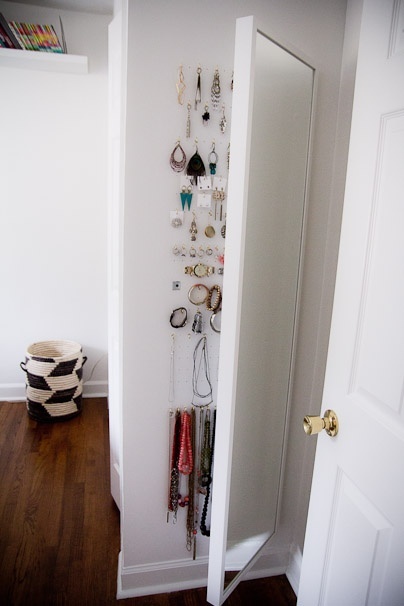 MORE JEWELRY STORAGE IDEAS? Hop to my pinterest board! 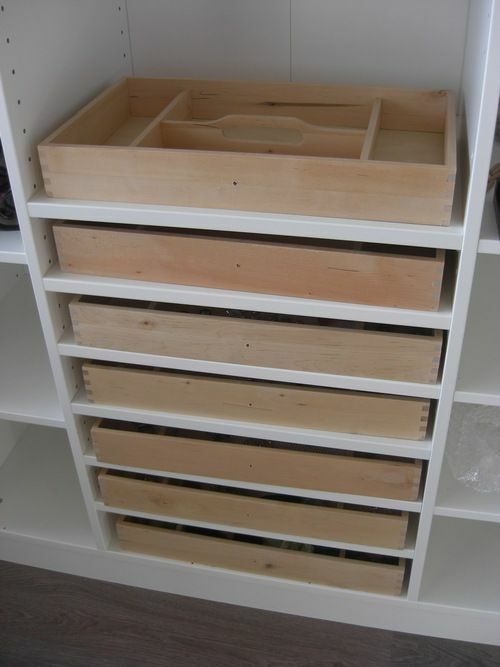 This entry was posted on October 17, 2013 by elisabeth in DIY, jewelry storage and tagged diy jewelry organization, jewelry storage, large jewelry boxes.